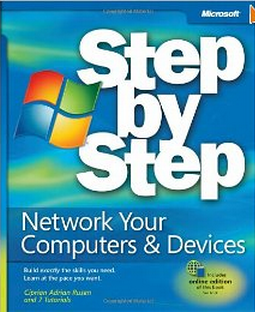 “Network Your Computers and Devices,“ $18 at Amazon.com, is the latest in Microsoft’s excellent “Step by Step” series. The book covers networking computers with different operating systems, including linking Windows and Macs, and has good instruction for both business and home users. The great thing about the step-by-step books is that they do take you through step by step, and they tell you about useful accessories that can make the process easier as well.